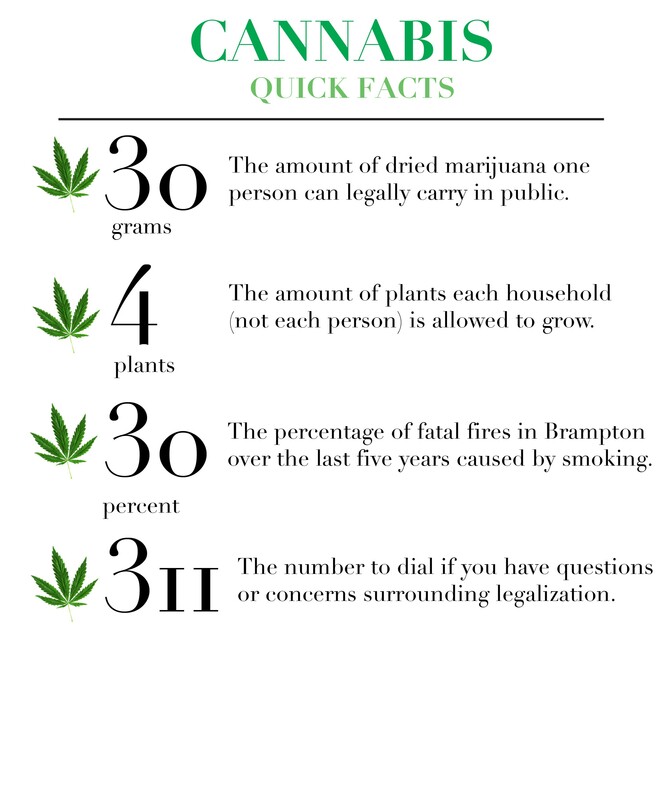 A recent survey shows that a majority of Bramptonians want the city to allow retail stores to sell cannabis, leading city staff to recommend that council opt-in. Under Ontario’s legalized cannabis law, municipalities must decide whether they want to opt out of allowing the shops by Jan. 22. Five Ontario municipalities have already signalled their opposition to permitting pot retailers within their city limits: Markham, Richmond Hill, Oakville, King Township and East Gwillimbury are likely to vote against allowing it. “Given findings from the public feedback, provincial funding formula, increased enforcement and the fact that legal recreational cannabis is readily available for purchase online,” city staff are recommending that council allow private cannabis retail stores to operate within the city, according to the committee of council agenda for Wednesday. Environics, the company that conducted the telephone poll, found that 54 percent of respondents sampled said they “strongly” or “somewhat” support pot shops in Brampton, while 40 percent “strongly” or “somewhat” oppose them. Only 6 percent of survey respondents were undecided. The company conducted the poll in the first week of November; earlier reports said it would survey 800 residents. Respondents were also asked about their preferred method of procuring cannabis. Sixty-two percent said they would rather acquire pot from a retail store than by growing their own (9 percent) or by ordering from the Ontario Cannabis Store website (29 percent). The findings will be presented by Joe Pittari to the committee of council meeting Wednesday. One councillor listening intently will be Charmaine Williams, a council newcomer who has been vocal about her opposition to pot shops in Brampton. 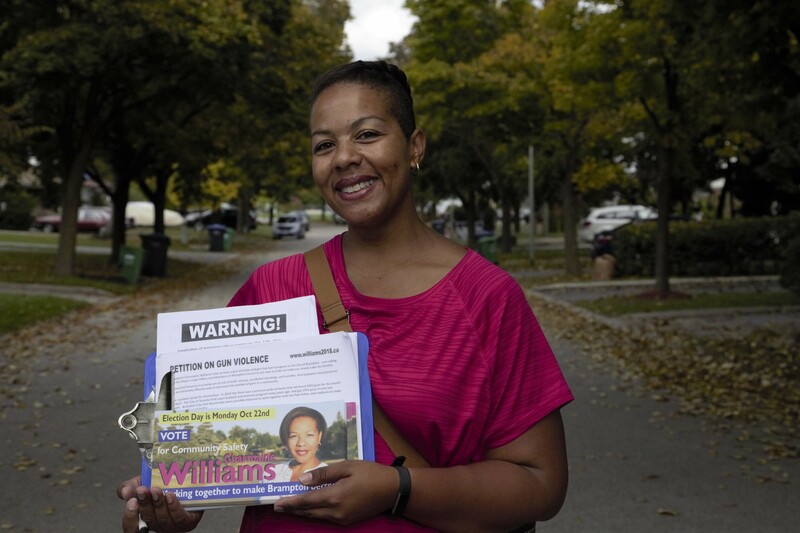 Shortly after her victory, Williams, elected to Wards 7 and 8, told The Pointer she believes the city should opt out for now, a decision that would allow more time to gather information. Under the province’s current guidelines, there is nothing to stop municipalities from opting back in at a later date. Retail stores will be allowed to open across the province, in municipalities that permit them, as of April 1. A comprehensive report on how other municipalities are handling the new stores, including information on safety parameters and siting criteria, would be critical data for councillors to see before making a decision, Williams said at the time. That’s information that would only come out of initially watching from the sidelines. 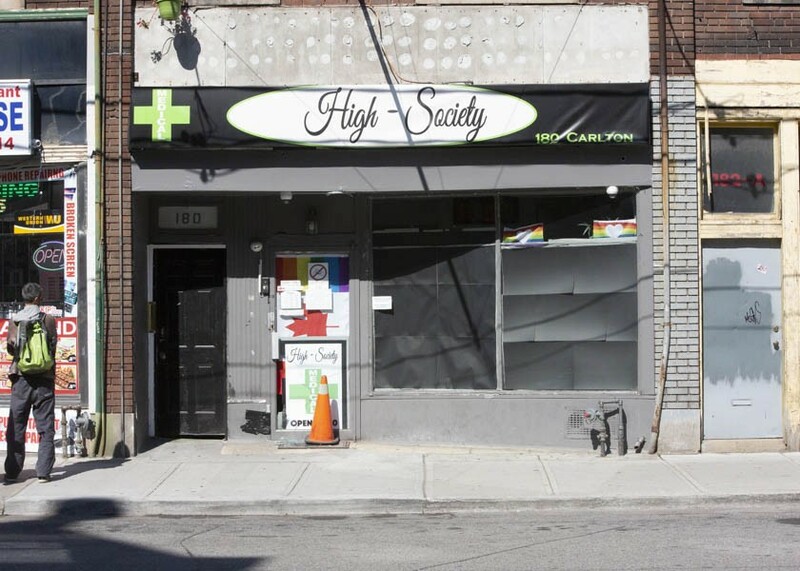 But some prospective guidelines, such as possible sites where cannabis shops might be permitted and mandated buffers around schools, are included in the staff report councillors will be looking at Wednesday. “I’m so thrilled that the city has taken it on and put out the public survey,” Williams said. She noted that during her time door-knocking on the campaign trail, perhaps 70 to 80 percent of residents she spoke with were not in favour of cannabis retail stores in Brampton. Her experience during the campaign does not jibe with the numbers in the public survey the city commissioned afterward. “This is major. We just need to make sure that we are considering public opinion,” Williams said prior to the release of the Environics survey. The looming debate is bound to draw strong opinions on both sides. Mayor Patrick Brown has previously told The Pointer he won’t ignore the reality of the situation. Those comments suggest Brown might be on board with opening the door for retail pot shops. He has also stressed the need for proper, enforceable regulation to control the use and sale of legal marijuana, to ensure it does not jeopardize public safety. It is not known how far council will move on the issue on Wednesday. The city still has more than six weeks to make an official decision.